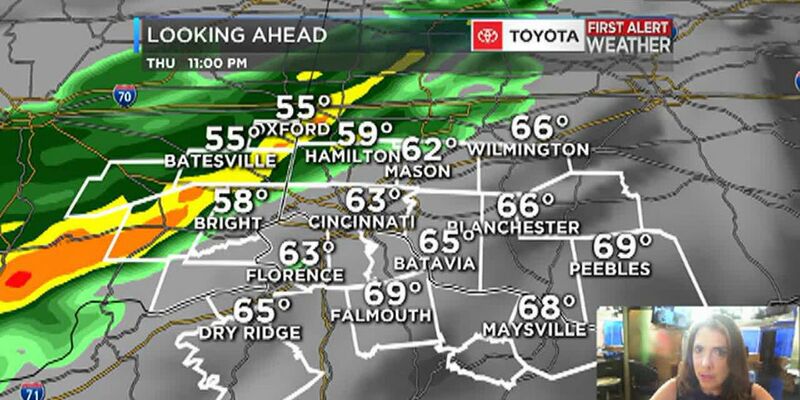 CINCINNATI, OH (FOX19) - A weak cold front will push through the FOX19 NOW viewing area overnight and with restricted amounts of moisture in the area no rain will develop. Ahead of the front the winds will be out of the southwest and as a result, with only a few exceptions, temperatures will not fall into the 30s overnight. Tomorrow will be sunny and frost and near freezing temperatures will be back in the forecast for Wednesday morning. The next rain arrives on Friday and ahead of that clouds will increase Thursday. 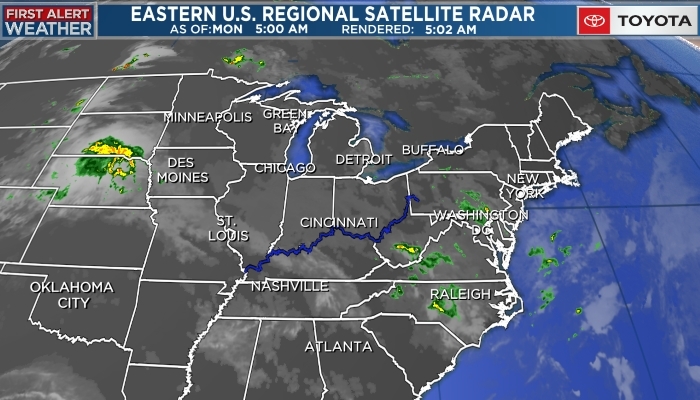 Showers weather will prevail into Monday. No big rain totals are expected but some shower activity will be in the region Friday into the late hours of Sunday night.